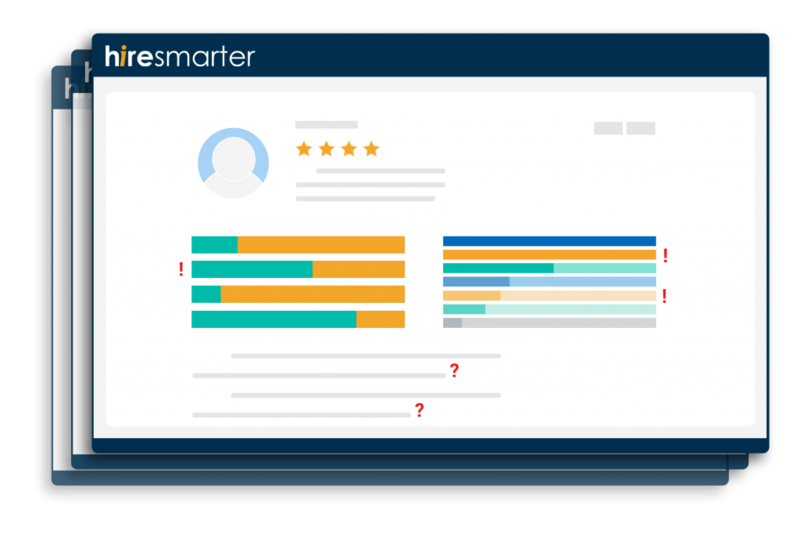 Hire Smarter tells you exactly how a candidate differs from top performers then provides additional tools for helping you make your final decision. Candidates can conceal shortcomings. Hire Smarter helps you dig up the truth by comparing candidates to top performers and highlighting potential problem areas that need to be explored before hiring them. Generic questions get generic answers. 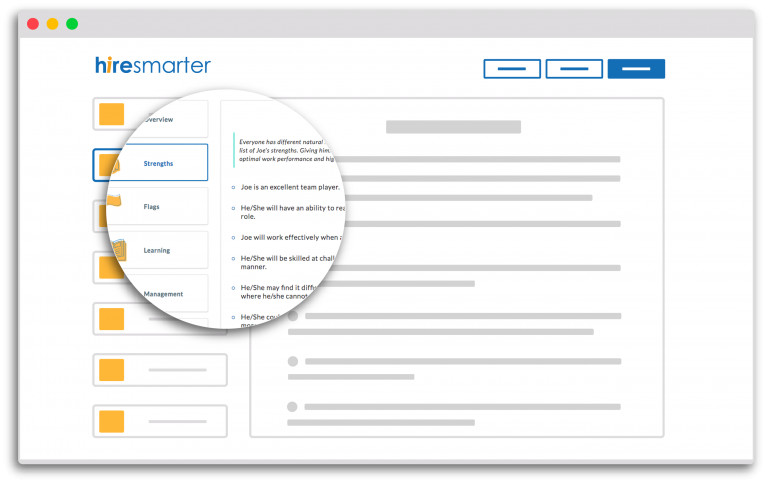 Hire Smarter provides custom behavioral interview questions for each candidate and tells you what to look for in their answers so anyone can become a powerful interviewer. Can’t decide between two great candidates? Want to provide management insight on a new hire? 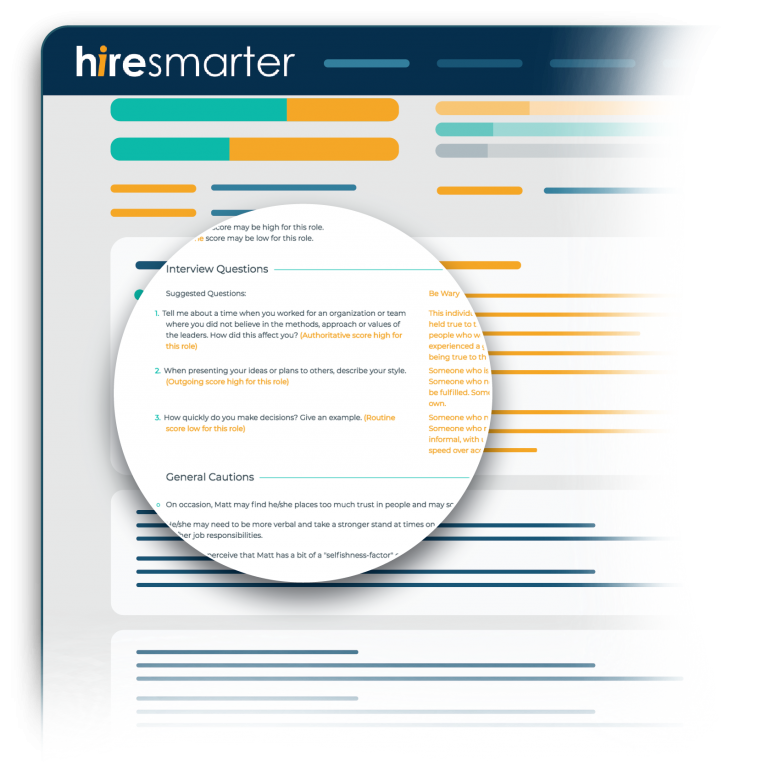 Hire Smarter generates a full report for every candidate that outlines everything from strengths, learning styles, communication tips, management advice, and much more.